Incidents happen involving trees all of the time. When you are a property owner or homeowner and have trees on your property, at one or another you are going to have a tree that gets damaged in a storm, becomes sick or just needs to get taken down for safety reasons. When you take a look at the tree yourself, it may seem like a pretty straightforward thing to do to take it down yourself. Everything may look easy and safe to you, and you would rather try to do it yourself than pay a service to come and do it for you. The problem is you may not be aware of the great danger you are putting yourself in. DIY tree removal in Valley Village can be a very bad idea and lead to all kinds of unforeseen consequences. The first thing to think about when trying to remove a tree is safety. Even though you may think the tree is of a manageable size and you have tools you need, like a saw, chainsaw, and ax to take the tree down, it still is unsafe for you to try if you are not familiar with this type of work. Taking down a tree is an art and a science and to do it properly, particularly with a medium or large-sized tree, takes a great deal of experience. Even those with years of experience in this type of work need help bringing down and removing a large tree safely. There are many things that can go wrong when you attempt this on your own that can cause you to suffer a traumatic injury. Attempting DIY tree removal in Valley Village can lead to damage to your surroundings as well. Without the proper help, equipment or knowledge, you run the risk of taking down a tree and potentially hitting power lines that may be nearby, causing a whole host of problems for you and your neighbors. You also want to be concerned about your property and your home and the damage you can cause to them. If the tree is close to your neighbor, what happens if the tree strikes their car or home because of your efforts? If you want to make sure tree removal in Valley Village is done correctly, then you want to call the experts to do the job right for you. 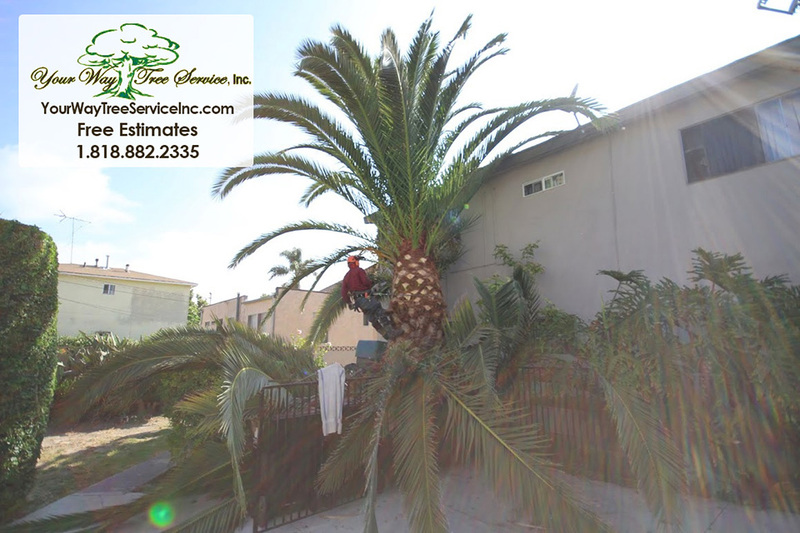 Make a call to us at Your Way Tree Service Inc. at 818-882-2335. We have extensive experience in tree removal, have an experienced staff with all the right tools and are completely licensed, bonded and insured for your protection so you can be sure your trees get removed with great care and ease.